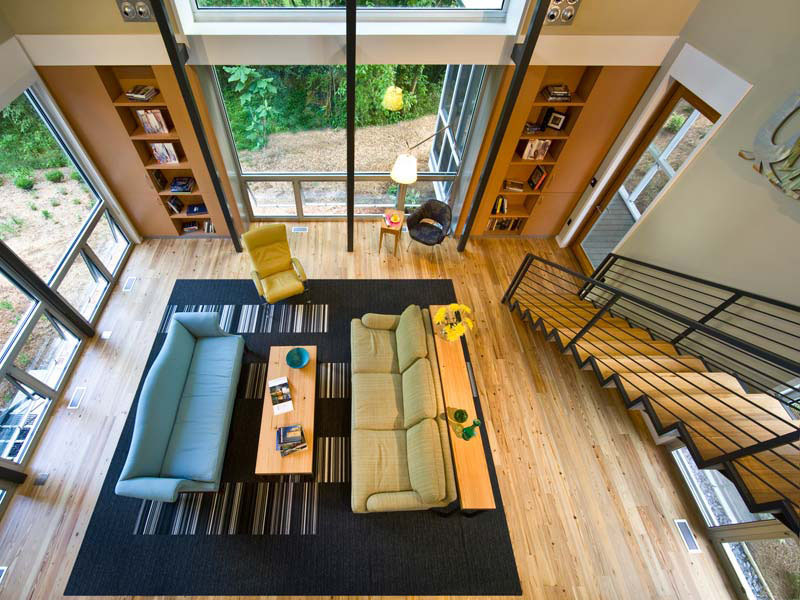 The RainShine House is a beautiful contemporary home with green architecture in Decatur, Georgia. An unique butterfly roof with its inverted gable is designed to capture rain water which goes to a rain harvest system in the basement. The roof is also oriented to maximize southern exposure for the roof mounted photovoltaic system. Light shelves around the upper window sills bounce and diffuse light throughout the interior. 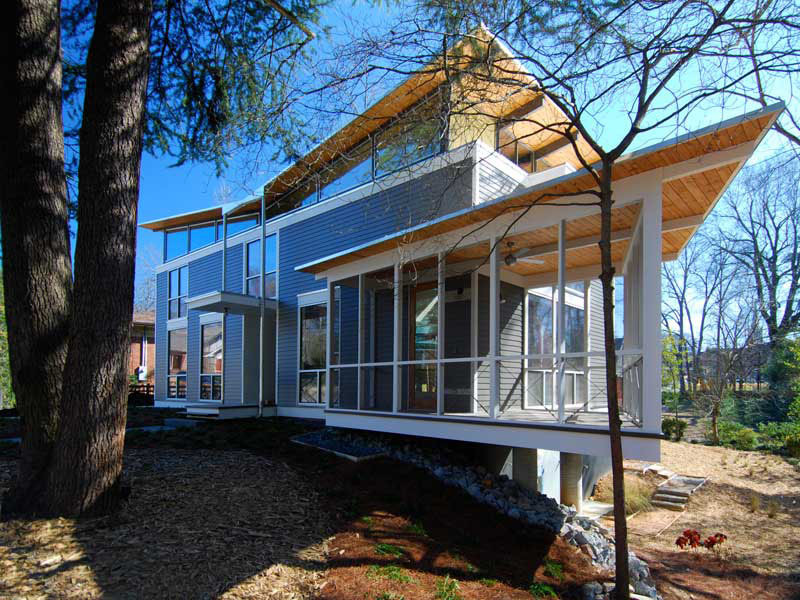 The water (Rain) and solar (Shine) systems make this house the ultimate sustainable home for modern living.